Why Submit To An Open Exhibition? Call For Entries » Why Submit To An Open Exhibition? Several of Britain’s leading national art societies host their Annual Exhibitions at Mall Galleries. Non-member artists may submit their work, which, if accepted, will be hung alongside work by the member artists. There are few British artists of note who have not at one time or another been involved with the societies, with past presidents, members and exhibitors including Degas, Bomberg, Sickert, Whistler, Nash and John Singer Sargent, to name but a few. To this day, the Annual Exhibitions – which are widely admired as showcases for the best new work by living artists – attract the finest contemporary artists, prizegivers, art enthusiasts and collectors from across Britain and beyond. 7. Having work accepted adds provenance to the artwork, as it will be catalogued and added to archives for generations to come. 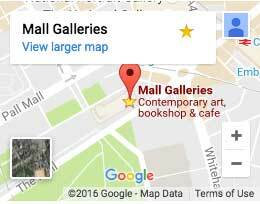 See a full list of exhibitions at Mall Galleries to which you can submit.